One of my favorite human beings. A true “thinking person”. It is sad that he is no longer with us, but he has left many great legacies. When I get some extra time, I will add many of his pithy sayings to the quotes page. 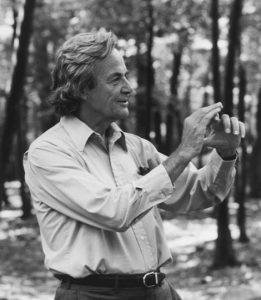 This picture was taken in 1984 in the woods of the Robert Treat Paine Estate in Waltham, MA, while he and the photographer worked at Thinking Machines Corporation on the design of the Connection Machine CM-1/CM-2 supercomputer.